He reminds us that we are to worship God through what we do, and find our IDENTITY in CHRIST, not in society given titles. When I sat down to consider the questions asked in Chapter 9 of Limitless Life, and to consider the calling that God has put on my life — this statement from Derwin settled in my heart. "Don't find a job so you can simply go to work. God has used Titus 2:3-5 to guide me in recent years, as I have grown in my own faith, and maturity. I have to admit when I first read these verses years ago, I had the initial thoughts of — “Work at Home! ?” I want to go out and work! I have come to learn that these verses are God’s call on my life. Whether I work outside the home, or not, God still calls me to work at home! It is a beautiful calling from the Lord (Ephesians 5:22-24), and it is an honor to serve my husband with love and respect! So love the verses in Titus…often we fail to see the importance of being obedient to the Word if God, submissive wives and home makers. This world is drowning that out with new views of what women should be doing…pushing women from where they really belong and making the God ordained duties of mothers feel inadequate and useless. 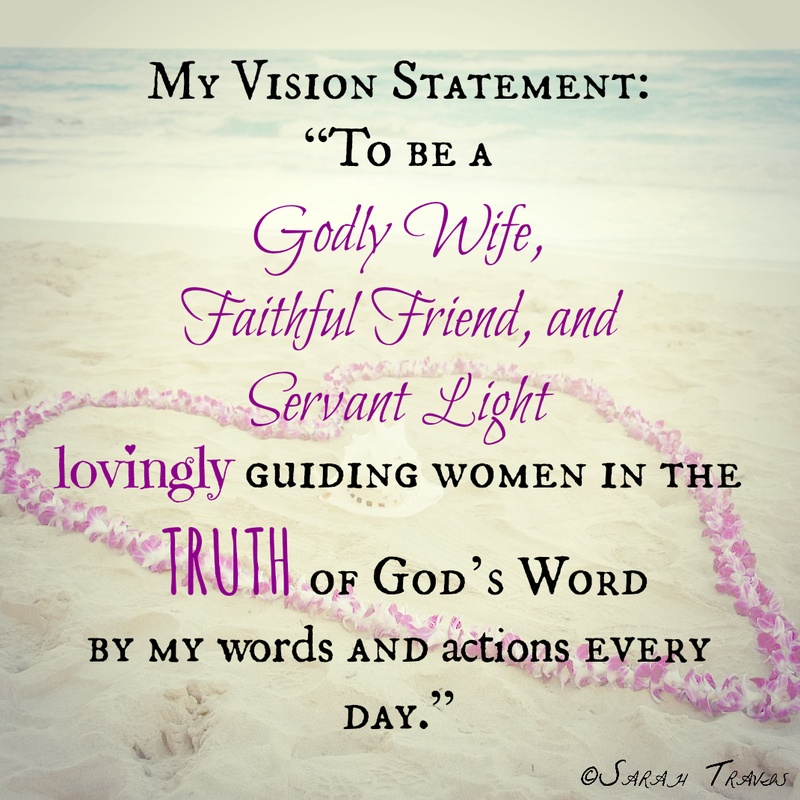 Love that you have highlighted in your post and sooo love your vision statement! Stay blessed! Great vision statement Sarah! Thanks for sharing how you got to this statement.